Clients often ask us what standard technology cards we carry that can be used now, or in the future, for access control or advanced identity management. We maintain inventory of a large number of different kinds of smart cards, each of which may be appropriate for different use cases. And we can procure nearly any kind of technology card required through our network of US, European, and Asian manufacturers. However, there are two very common technology cards which are frequently used for secure identification, and which are available off-the-shelf from InstantCard. If you choose either of these options, there is a high likelihood that you’ll be able to configure your system to work with these cards. 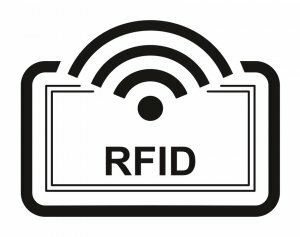 Mifare 1K – these are high-frequency (13.56 MHz) read/write cards which offer a considerably higher degree of security and functionality compared to the EM4200 cards. They can be used in a simple read-only mode, reading the UID (Unique Identifier) which is factory-set in each card. Then, now or in the future, clients can enhance their utilization by adding apps and services using the data storage capabilities of the card. Many, many card readers from a wide range of manufacturers are available which are compatible with these “Mifare Classic” cards, because they conform to the ISO 14443A standard. InstantCard always maintains a large inventory of these cards. It is important that you verify which technologies are supported by the readers you have installed, or those that you plan to install. Whether they are desktop readers or wall-mount readers, each reader make & model is designed to only support specified card technologies. If these card technologies do not meet your specific requirements, please contact us to discuss whether other options may be available which better suit your needs. However, over the years we have found that these two options provide a very good choice for many of the uses our clients are planning.